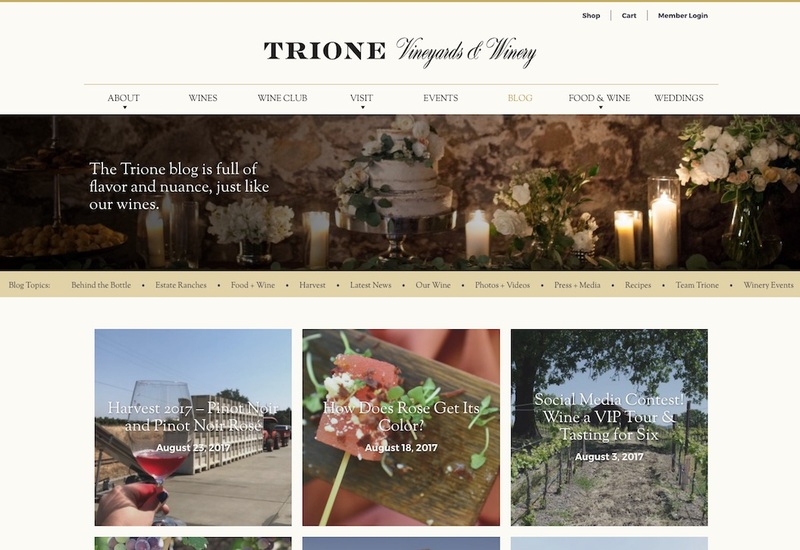 I first designed and developed a website for Trione back in 2013. It was high time for a refresh, and they wanted to be better able to feature their blog, social media feeds, and delectable recipes designed to pair with their wines. We decided to use WordPress again, and opted for a sleeker, more contemporary look overall. We used an off-the-shelf recipe plugin in order to save on building such complex functionality. With such gorgeous photographs to draw from, I designed a few different page templates to feature them and draw the visitor in to the relevant content.